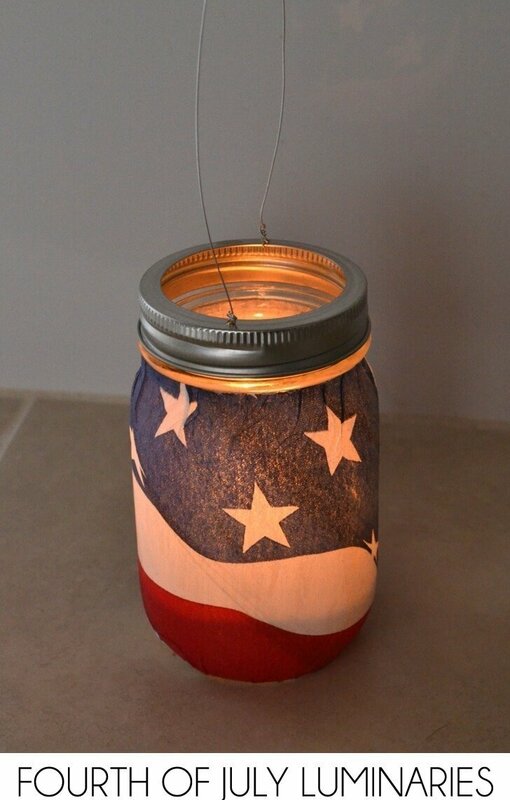 So I saw on Pinterest a Fourth of July crafting idea I thought was neat enough that I was going to use it for myself as is. But unfortunately it didn’t look quite as good as in the photographs. 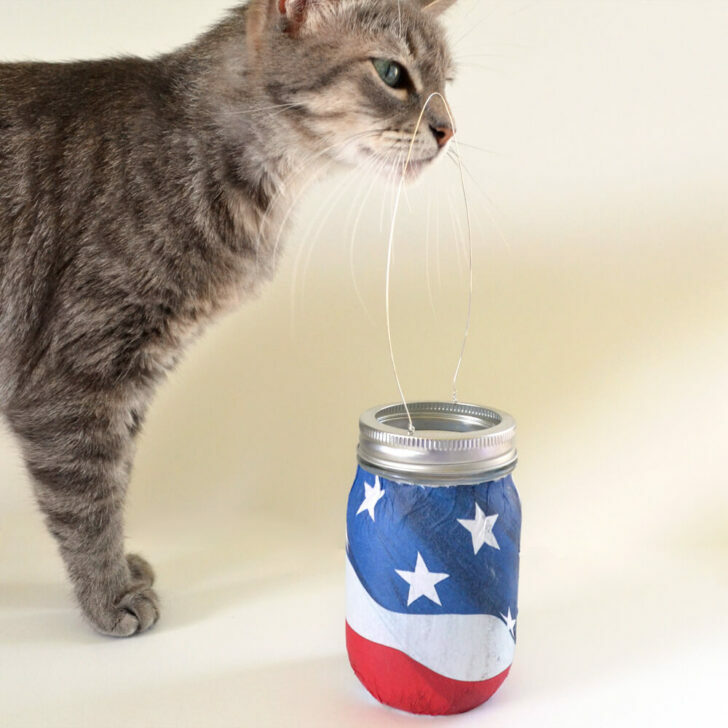 I went to the store and spent more money than I should have on little American flags and then I Mod Podged them onto jars. From one very specific position these looked good. But since people can go around things and see the 350 other degrees that look like a disaster I decided that this was an utter failure. 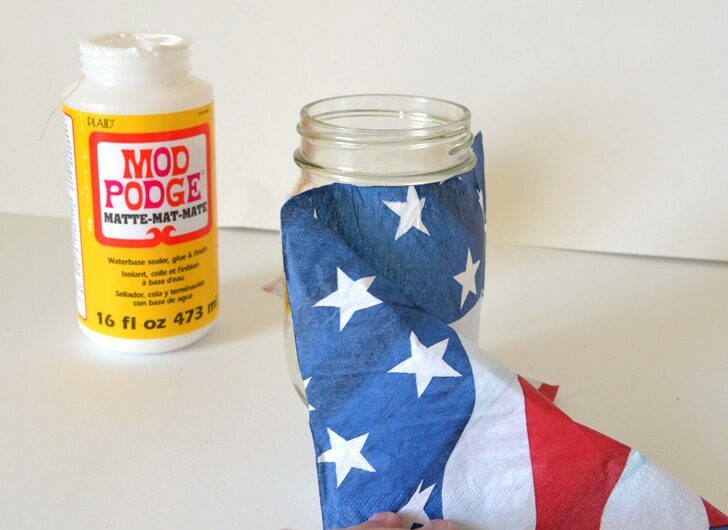 Apply a thin amount of Mod Podge onto the glass and place the paper napkin on top. It may be necessary to wrinkle the napkin a bit to fit. Run the top of the napkin as close to the rim as possible. There will be some trimming needed in the end so don’t wig if you can’t get this completely straight. When you get back around where you started the napkin you’ll need to slightly overlap to keep from having any light shining right through the glass. This doesn’t have to be super perfect. Allow to completely dry. 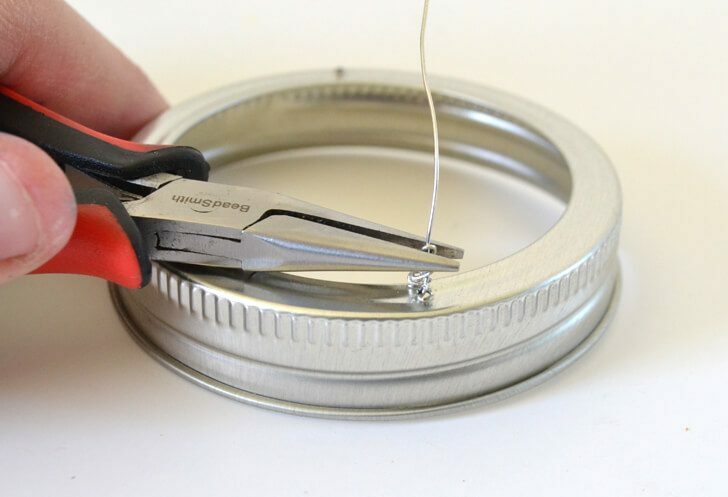 Using a craft or utility knife trim the top and the bottom to remove excess napkin. 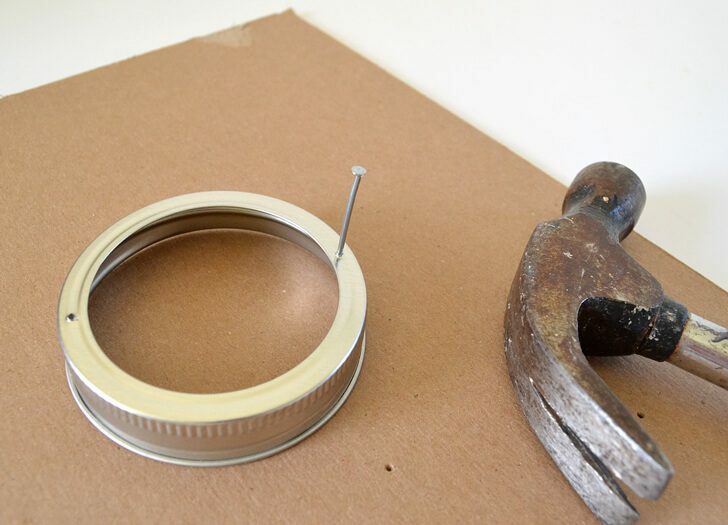 Take a thin nail and hammer into the rim of the mason jar’s lid. 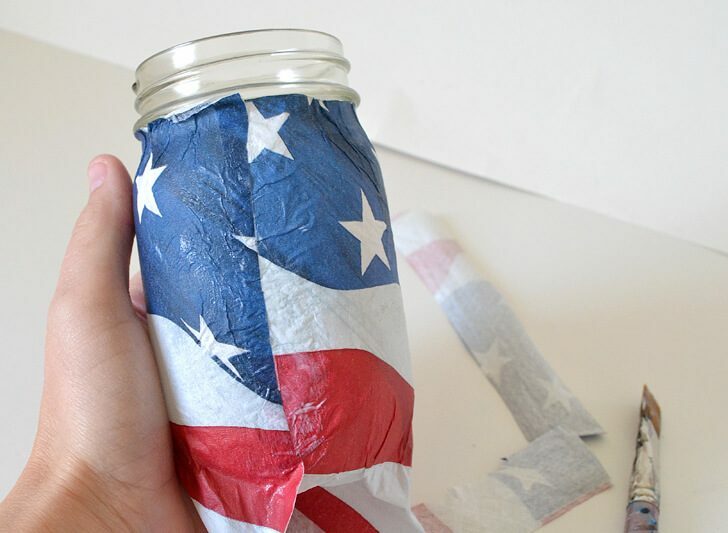 Do this on two sides. 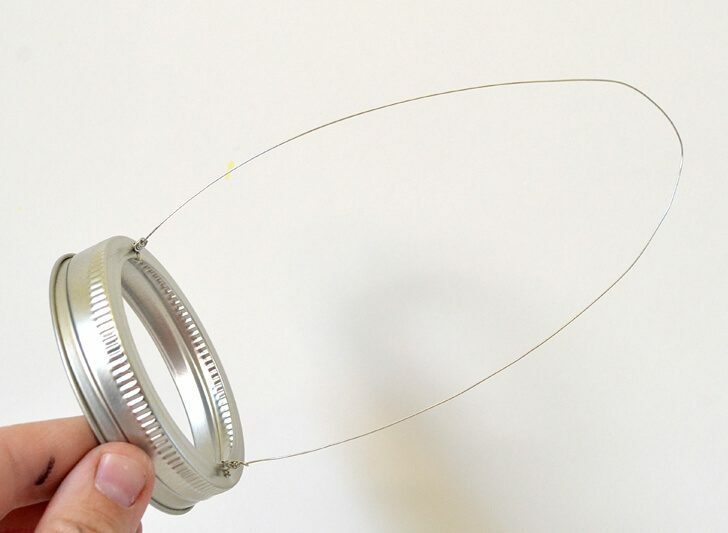 String wire through one of the holes. I’m using jewelry wire I have laying around but wire from the hardware section works too. 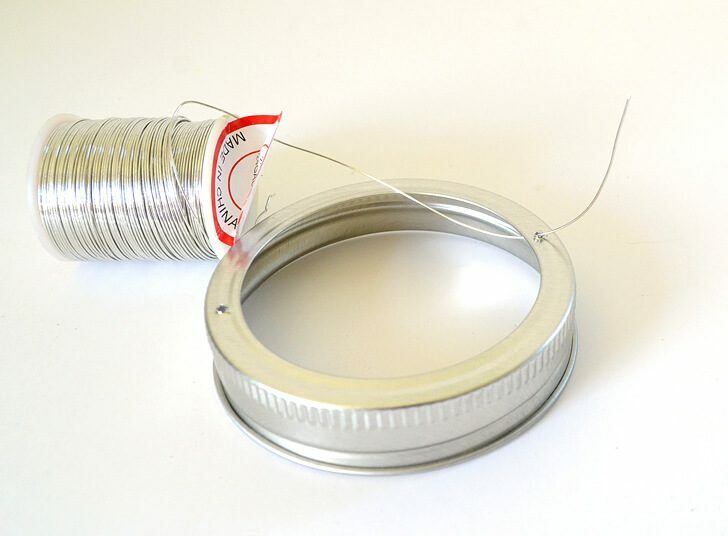 Wrap the wire around a few times and use pliers to squish the wire together for a stronger hold. 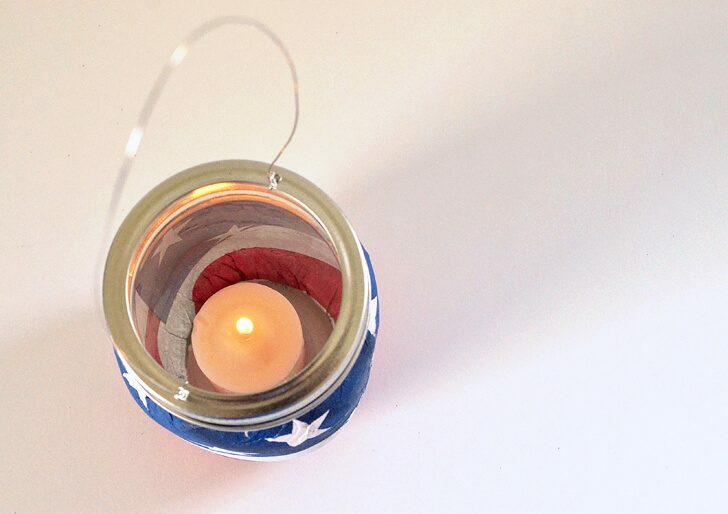 Repeat for the other side and bing, bang, boom – you have a hanging mason jar! 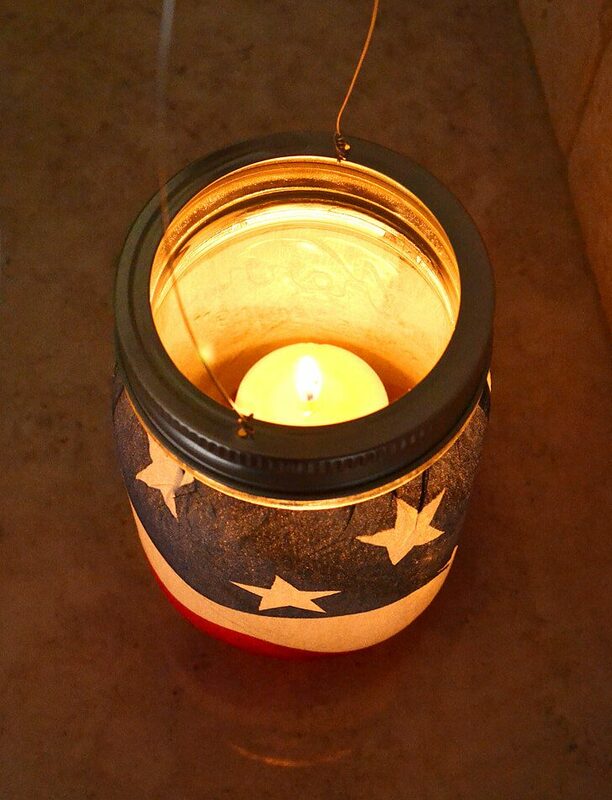 …toss in a candle and get ready to light up the night!